Resolve your stress for the win! As the Fox River Valley Public Library gears up for its Summer Reading Challenge "Read for the Win," Stress Less will be focusing on how to make our goals become reality. Make this your year: five steps to keeping your new year’s resolution, Yoga Journal, January 2016 issue, Elizabeth Marglin focuses on 5 steps to achieving your goals. The word resolution comes from the word resolve, or to undo. According to Ms. Marglin, "Resolve is a form of surrender, a way to set our most heartfelt desire free into the world. What sustains resolution, then, is more a willingness to grow than sheer willpower. It is a discovery of how our own happiness is inextricably intertwined with the well-being of others-and that comes down to great; bigger-than-life' goals." Each 1 hour class will break down 1 of the 5 steps to help you learn new breathing, meditation, and yoga techniques. But the fun does not stop there. Stress Less also happily invites the community of the Fox River Valley Public Library to explore the vast collections and programs to make your a goal become reality. *Please note the times of the program vary each month. Marglin, Elizabeth. "Make This Your Year!" 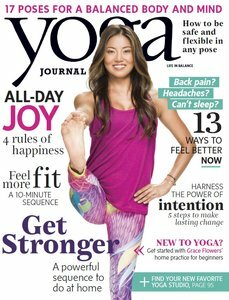 Yoga Journal Feb. 2016: 80-86. Print. A new addition to the programs at the Fox River Valley Public Library District is the Stress Less program. I started the class because I have been practicing yoga and meditation for 15 years and I would like to extend that knowledge to other people. Being a librarian, I feel there are so many resources I would like to share with the Fox River Valley Public Library District community. Yoga, breath-work, and meditation are tools that take no space and virtually no time during 24 hours. It’s something that everyone can take with them and use when they see fit. I provide a space that is both comfortable and safe for everyone and try something new. I give modifications to yoga poses that may be challenging and alternatives cues if one is not comfortable or to better understand the practice. On February 20th, we touched on the basics of Sun Salutation A or Suyra Namaskar A. Sun Salutation uses the body to create asanas, or poses. Suyra Namaskar is sanskrit, which means to bow to the sun. As the body moves through the poses, all of the muscles are engaged, lengthening and strengthening the limbs, and keeping the person focused for the rest of the day. Then we focused on our breath by learning about chakra meditation. This type of meditation helps focus your attention on different areas of your body. While breathing, we focus on the 7 areas starting at the root of the spine through the crown of the head; all while visualizing colors that area represented with these areas. Sun Salutations, by Shiva Ray, has a great evideo on Overdrive showing the steps to the Sun Salutations. Videos are a great way to learn yoga poses while at home. 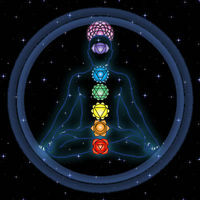 Chakra Yoga, by Gurutej Kaur is another evideo on Overdrive. Again this is a great resource if you want to create your own yoga practice. Practical centering : exercises to energize your chakras for relaxation, vitality, and health, by Larkin Benett, is a great resource for learning chakra meditation. It is a simple guide that is easy to follow. Last week, inspired by the Oscars, the Fox River Valley Public Library held its first Book Awards readers’ advisory program. We ate cookies and chocolate, and had fun talking about books. Check these out, then stop by the Information Services Desk: Anna will be glad to provide you with additional suggestions! 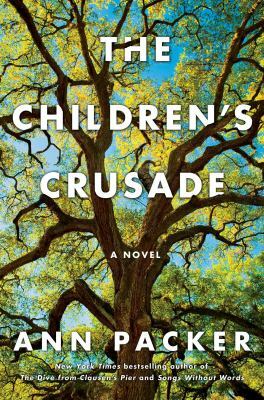 Packer's splintered narrative style and rich characters made The Children's Crusade one of my favorite titles to hit shelves this year. Families, by definition, are dysfunctional. Mine is, and my best friend’s is, and you’d be lying if you said yours isn't. And that's the ugly truth. In Packer’s latest family saga, Bill Blair’s four children (one unwanted) navigate their way through a precarious childhood in an attempt to keep their misguided mother, Penny, from falling off the deep end. Set in what is now Silicon Valley, The Children's Crusadejumps around in time and point-of-view — not in a needlessly confounding way, but as a way to intensify another one of its themes: that the four Blair children (like all children) each came fully loaded at birth with their own idiosyncratic temperaments. While we’re on the topic of dysfunction, let’s talk about my group of friends: and yours, too, for that matter. Separately, we’re messy people each leading very different lives. Together, we’re still messy people leading very different lives who just happen to appreciate each other’s quirks. 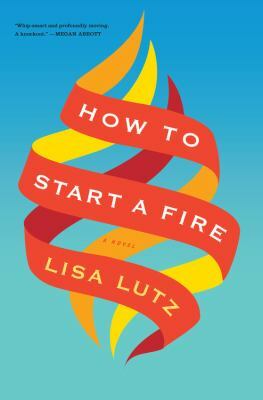 Lisa Lutz explores the dynamics of friendship in her 2015 novel How to Start a Fire which follows three college friends through the treacherous territory that is adulthood. 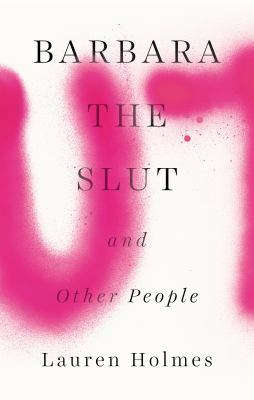 Kate Smirnoff (like the vodka), Anna Fury, and George Leoni met in 1993, when all three were students at UC Santa Cruz. Freshman roommates Kate and Anna found George passed out on the lawn outside a party they had all attended. The girls quickly become friends and are bound together for life after a traumatic experience in their mid-20s. It’s rare to find a novel that’s both heartwarming and heartbreaking at the same time. Letty Espinosa is suddenly handed responsibility for her two children, 6 year-old Luna and 15 year-old Alex, after her parents (the children's former caregivers) return to their childhood home in Mexico. At first, Letty struggles with the inevitable challenges that motherhood presents, fumbling her way through a series of bad decisions before she gains her footing. Diffenbaugh paints an eye-opening picture of modern day San Francisco for readers; she introduces us to the immigrant families who are hoping to build a life for themselves by working three jobs and living in devastating poverty, simultaneously holding their families together. A mysterious, luminescent mold infestation spreads through Brooklyn in the summer of 2015, sparing no New Yorker in its path. The ‘supermold’ is first discovered in the apartments of a rowhouse, entwining the lives of its residents: the elderly twin sisters, Edie and Kat, one a retired librarian, the other a failed bohemian; Vida, a middle-aged actress; and Ashley, an 18-year-old Russian au pair discovered hiding in Vida’s closet. 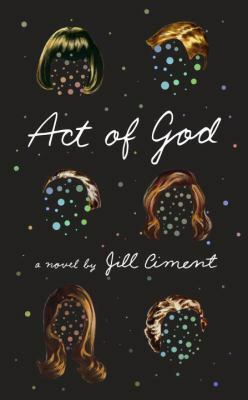 The narrative shifts between the four women as they’re evacuated from their homes, until Edie eventually dies from spore inhalation and Kat is left to face the entire bizarre situation alone with only the company of a crazy cat lady and the unbearable grief that came with the loss of her twin sister. The novel is in some ways a character study and, in others, a play on science fiction in its entirety. Ultimately, it’s weird and that’s what I liked about it.Plus--the cover is really pretty. Living can be a distressingly solitary activity and Holmes explores this hard truth with unexpected poignancy, subtlety and humor. Her characters are students and urbanites and rule-breakers and quarter-life-crisis-havers, some of whom own dogs or want to. Holmes is so skillful at characterization — weaving in specific details that illustrate everyday desires, failures and striving — that I was suddenly skeptical when I came to "My Humans," the third-to-last story in the book, which is told from the point of view of a dog. “My Humans", however, is every bit as moving as the other stories in the collection and while not perfect it tells us just as much, if not more, about human nature than the stories actually narrated by people. People in this area have a don't-miss cultural opportunity this month: to see the First Folio or "the book that gave us Shakespeare." The First Folio is making the rounds in the U.S., and the only location in Illinois that will have it on display is the Lake County Discovery Museum, located in Wauconda. Admission is free for this exhibition that runs through February 28. 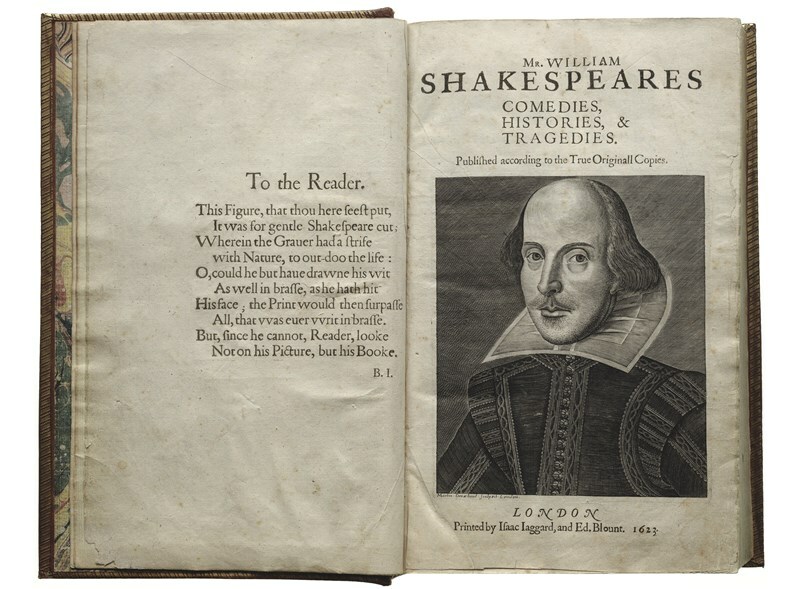 The First Folio is a compilation of many of Shakespeare's plays that was published in 1623 to preserve his work after death. Find out more about the exhibit and accompanying programs. Read more about the Bard or one of his works. Discover Will this winter! This is the kind of book to read when you're looking for something sneakily soulful. 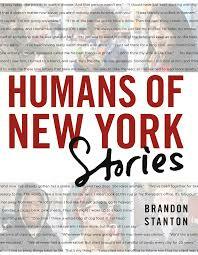 Photographer Brandon Stanton has put together a fascinating book based on his blog. Stanton went around New York City and took portraits of people and includes a usually short, often very personal, quote from the subjects. He elicits some intimate information from these people. Although the book isn't laid out in a particular order, he often juxtapositions entries that are connected by theme of the subjects' statements or because the subjects have similarities in life circumstance. The photos are lovely, but it is the quotes that ultimately resonate. Some statements are devastating ("I found my mom's meth stash when I was four." "What'd you do with it?" "I ate it."). Some statements are insightful ("My ex-girlfriend seemed to love me a lot more than I loved her, so I made the mistake of thinking I didn't love her." or "For the longest time, I was so focused on being deaf in my left ear that I almost forgot my other ear was perfectly fine."). Some statements are complicated and lengthy, others are simple and to the point (an older gentleman states "It takes a hell of a lot of pills to keep me going."). It doesn't matter that these people live in New York. These are lives and stories one could find in any city or town. It's good to be reminded of our humanity sometimes. For fans of period British movies or mini-series, here's some titles beyond the Jane Austen fare. Hopefully some will be new to you. These are my title/version preferences; please share your favorites in the comments below! Jane Eyre – 2007 version staring Ruth Wilson and Toby Stephens. In high school I read Jane Eyre (by Charlotte Brontë) and wasn't enamored. Once I watched this version I finally understood the hype. Mark my words, Ruth Wilson will win many, many awards in her career. 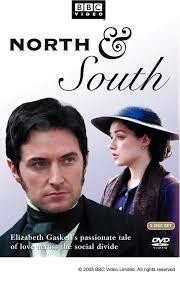 North & South – starring Daniela Denby-Ashe and Richard Armitage. Based on the book by Elizabeth Gaskell, this is a bit of a cult-classic (no, this is not the Civil War TV mini-series from the 80s...). The north and south in the title refers to the lifestyle of the more gentile south and the industrial north, which is of course, a metaphor for our main characters. The chemistry between the two is perfection. The Buccaneers – starring Carla Gugino and Mira Sorvino. 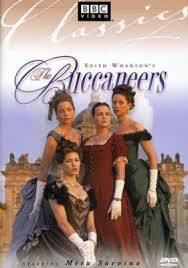 New-money American young ladies are brought to England to make matches with the cash-strapped ton. Carla Gugino shines in this early role where her character turns from a naive young lady to a morose married woman. Little Dorritt – starring Claire Foy and Mathew Macfayden. Based on Charles Dickens' novel, Amy Dorritt (Foy) is one of the more sympathetic female characters in Dickens' oeuvre. 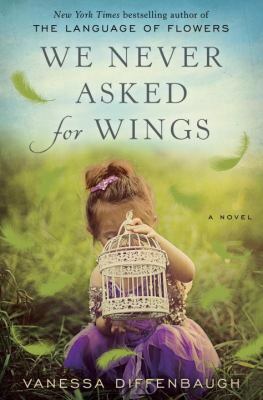 She braves the challenges of living in debtor's prison with her father, who is a bit of a high-maintenance diva really. Great ensemble work here. Wives and Daughters – starring Justine Waddell and Anthony Howell. Another story by Elizabeth Gaskell about the rocky relationship between a step-daughter and step-mother. The romance aspect is well-played. 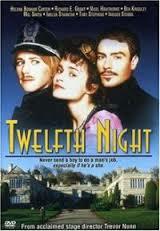 Twelfth Night, Or What You Will - starring Imogen Stubbs and Toby Stephens. This is probably my favorite piece by Shakespeare (what can I say, I like farces). Also, Toby Stephens is really dreamy in this. The 58th annual GRAMMY Awards are set to air on February 15 on CBS and the ladies of Information Services are psychedddd. We've taken the time to predict the winners of all the big categories so you don't have to. Fair warning: we're pretty sure Taylor Swift is gonna clean house this year. Kate: As cute as Ed Sheeran is, there's no way he's going to trump Swift's infectious hit "Blank Space." Seriously- I bought a shirt that says "I can make the bad guys good for the weekend" on it. Please don't tell anybody. Jessica: Any record with the title "Can't Feel My Face" deserves to be Record of the Year. Plus, I love a guy who sounds like MJ and wears hair like Basquiat. Jasmin: Taylor’s “Blank Space” music video made the song a huge hit. 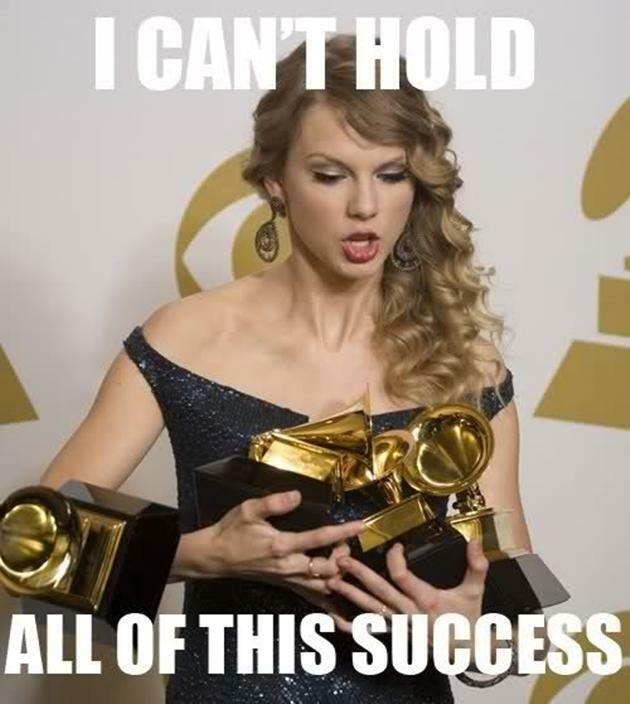 With over 1 billion views on Vevo, it’s safe to say Taylor is going to win this GRAMMY. Kate: Chris Stapleton is the man. I've known that since 2008 when he was the lead singer and guitarist of the SteelDrivers. His first solo album Traveller was released last year and it's flawless as far as I'm concerned. Jessica: Taylor Swift's got this one in the bag. I look like her... at least that's what strangers tell me. My mom and I don't see the resemblance, but I'll take it. I chose Taylor out of pure vanity. Jasmin: 1989 was THE jam of 2015. No matter what your stance is on Taylor Swift, we can all agree that she killed it with this album. Kate: Is there a difference between song of the year and record of the year? Can somebody explain that to me? Anyways, "Blank Space" all day (this is not intended to be a Kanye West pun). Jasmin: Swift managed to make crazy seem alluring and turn comments about being a man eater into a ground breaking hit song with “Blank Space.” Without a doubt Tay wins this round; better luck next time Ed Sheeran! Kate: Being a huge fan of country music, you think I would be supportive of Sam Hunt. But I'm not. His definition of country isn't quite on par with mine, so I'm definitely pulling for Courtney Barnett in this category. Her album Sometimes I Sit and Think, and Sometimes I Just Sit proved Barnett to be one of the sharpest, most original songwriters around. Jessica: Tori Kelly, hands down. And she looks like she could be on the Disney Channel. YAY! Jasmin: My hope is that Sam Hunt wins this category. His entire album is phenomenal and if you haven’t heard “Single for the Summer” go pick up Montevallo and be ready to dance. Kate: Florence + the Machine’s How Big, How Blue, How Beautiful is one of my top five (okay, maybe top ten) albums of 2015. I listened to it religiously on repeat for weeks after its release. Chances are good, however, that Taylor Swift will walk away with this award. Jessica: I’m pulling for How Big, How Blue, How Beautiful because Florence has a killer set of lungs....pun intended. I love a great melody and this album provides a lot of them. Jasmin: I really hope Florence + the Machine wins this one. Welch needs to be recognized for her haunting music and strong vocals. Still -Taylor Swift will probably win this award. Sigh. Kate: If it were up to me, Drake, J. Cole, and Kendrick would share this GRAMMY. Almost like how Cady Herron, Regina George, and Gretchen Weiners shared the Spring Fling crown in Mean Girls. Unfortunately, there can only be one winner and it’s sure to be To Pimp a Butterfly. Jessica: Apparently, I read this a little too late, because I had no idea the name of Drake's latest album. I hope he wins though. Jasmin: I’m not exactly an expert in this genre, though I’ve heard that Drake’s album is great. Or maybe Nicki Minaj should win…girl has to represent. Kate: Both Musgraves’ and Monroe’s albums are GRAMMY worthy, there’s no doubt about that. But Chris Stapleton has taken the music world by storm and he’s sure to come out on top this time around. Jessica: Little Big Town sang the National Anthem for the NFC championship game....so I think they meet the requirements for releasing the best country album of 2015. Because, honestly, what’s more country than America and football at the same time? Jasmin: Kacey Musgraves! Pageant Material! This album is fun to listen to and I absolutely love it. Honestly, Sam Hunt might win, but please let it be Kacey. We are not off to a great start this year. First David Bowie, and now Alan Rickman. You know when you hear that someone famous has passed and then for the first time realize how much you truly liked them? I've always liked Alan Rickman, but his death has put this into sharper perspective: why did I like him so? Rickman was an every-man, not classically handsome, but attractive; he was British and his delivery measured, which gave him a slightly sophisticated air; and he worked on stage and screen, which gave him pedigree. He may have been made famous to audiences playing Hans Gruber in Die Hard, but it is his softer performances that get me, specifically Truly Madly Deeply. What always stood out to me was his ability to make every character, even the villains, sympathetic or, at the very least, understandable. In my book, that is the mark of a good actor. David Bowie--more than any other pop artist--exemplified the necessity of change and metamorphosis. 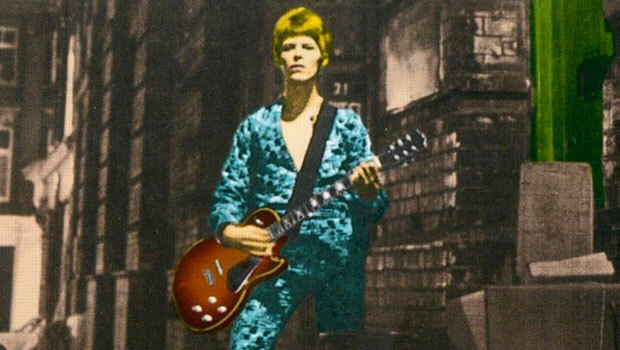 In his six decade career he has inhabited staggeringly diverse personae: extraterrestrial glam rocker; blue-eyed soul singer; cabaret-style Thin White Duke. This overwhelming impetus to redefine himself is perhaps the sole constant of Bowie's oeuvre. Attempting to define his influence is nearly impossible, as it extends well outside the musical domain, into fashion, film, and the art world. Like the Beatles--his early contemporaries--glimpses of Bowie's influence can be found in virtually every aspect of modern music and pop culture. His songs have been covered by a veritable who's who of iconic musical acts; Nirvana, Tina Turner, Beck, White Stripes, Tegan and Sara, etc. It would be impossible to write a comprehensive encomium of David Bowie; an artist whose myriad lives have somehow survived his time on earth. I would encourage all our readers to delve into David Bowie's legacy, via any of the links below, and celebrate his mutable genius.